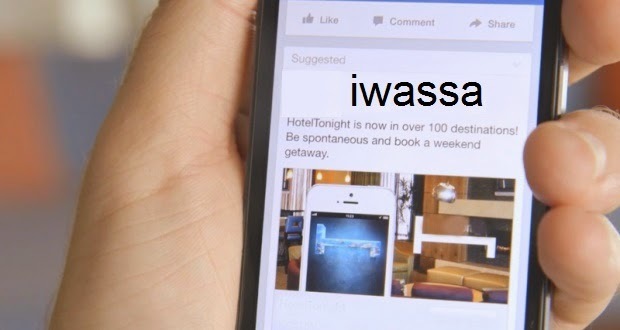 IWASSA Co.: Beware that you write 5 things on the "Facebook" .. you know it !! Beware that you write 5 things on the "Facebook" .. you know it !! She noted "US Today" newspaper of America, warning of writing five personal information related to the user's considered the most important things that the user should not be written to or allow any one to see it, but people trusted by him. US newspaper reported that the first of these information should warn the user is writing his home address, where he made it clear that it is writing his home address is open to his personal account to be easy stolen process. The newspaper has drawn advice to those who wrote that the title is quick to scan immediately, or he can put it in a manner so secretive that no one can see that is only just. The second of these information is work-related, where the newspaper alerted users, that to his knowledge concerning the work could be used by others, and may be done to endanger if been hacked. "US Today" newspaper of America also warned not to publish "emotional state", which shows whether the user is married or single or linked, where the newspaper said: "Perhaps this machine has harvested a lot of followers impressive", and the user must be quick to remove each image or publication on one of these cases. Although much distraction on his card credit, especially on websites or social networks, and that they know how dangerous this information pertaining to credit card, and perhaps the other have this information on the goodwill of him or not having the background information and the rules for using the Internet on them. However, the newspaper pointed to very careful about this. She said the American newspaper "Us Today" also, that in spite of network "Facebook" claim to number the user's mobile phone in order to document the account for security reasons, but these numbers deploy some may exploit the breakthrough Al_husab.oukd advised the newspaper that puts his phone number Baaattabarh fast access to those who need, but that may not be consistent with good faith, and if he wants a people who had trusted them, he can be sent to him via text message. This has revealed the paper warned about this information which was considered serious steps users may located where without knowing its seriousness, and pointed out that this information is made available based on the majority of people have accounts on social networking "Facebook" and as the most popular sites among social networking sites.